Having grown up in Lancaster County, I remember looking forward to my grandmother dropping off a fresh batch of fasnachts every Shrove Tuesday. That was the pinnacle of my pre-Lenten experience until 2010, while photographing the Deepwater Horizon oil spill. 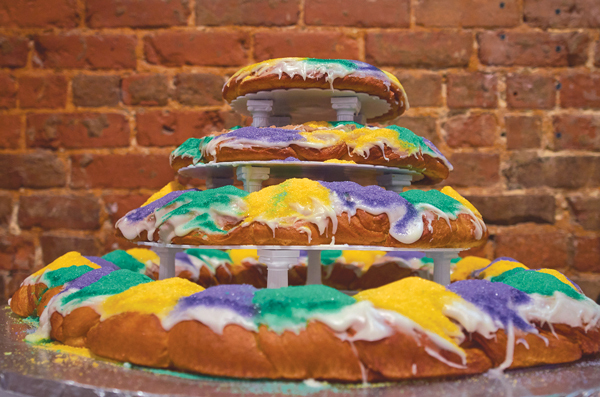 I soon discovered New Orleans, and with it, the existence of another Pre-Lenten pastry of epic dietary sinfulness: the king cake. At that time, all that persisted was an intense need to document the oil spill and to share that account with others. 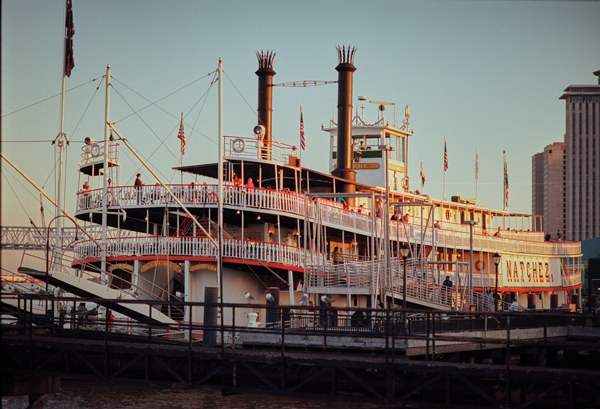 When a rare, four-day weekend came up, I’d hop on a plane to Louisiana and charter a boat in search of oil. Little did I know just how rich I would strike it. My world was about to unexpectedly expand in the most wonderful of ways. What I discovered in New Orleans was a life completely opposite of my Lancaster County upbringing. 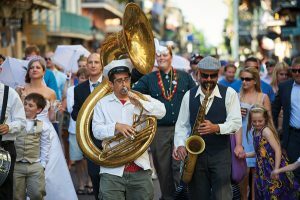 As deeply ingrained as our local history is with German heritage, so is New Orleans with French tradition. 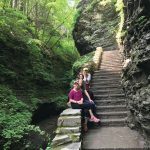 The culture shock was unexpectedly alluring; I’ve experienced far less visiting foreign countries. From music to food, the “Laissez les bons temps rouler” mindset of New Orleans (pronounced New OAR-linz) is magic. 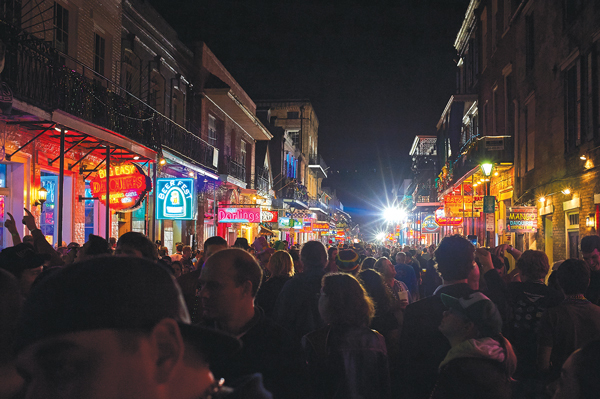 Rich with its own vibrant history, there’s a romance to the cobbled streets of the French Quarter, as if you’ve stepped onto a movie set. 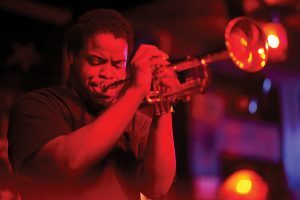 Flickering gas street lamps, crooked old oaks and jazz music of world-class proportion, the southern charm was simply enchanting. Oh, but the food! Rich in Creole, Cajun and French influences, bold spices meld with fresh seafood and local produce. Every dish is a new, seductive discovery. 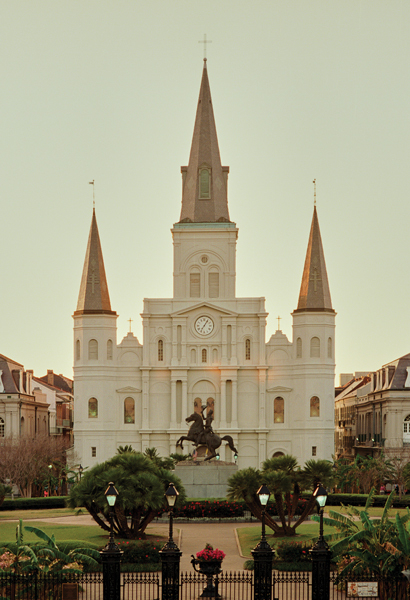 Around every corner, the “Crescent City” holds something grand. 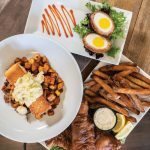 The most outstanding food will always be had somewhere local, which is especially true regarding home-cooked meals and at many small restaurants. Few things in life are as delightful as a crawfish boil, piping hot beignets with a cup of café au lait, or chargrilled oysters slathered in garlic, parmesan, butter and hot sauce. Abita Brewing Company is another local staple, producing some of my favorite beers in a list nearly 1,000 brews deep. Their phenomenal German Kolsch takes its name from the “Boot” shape of Louisiana, which is tragically the only state to see its distribution. After all this, the captivation of my heart was complete, prompting a move to the South. I quickly found a job photographing for the Baton Rouge Advocate and started off on a new journey. 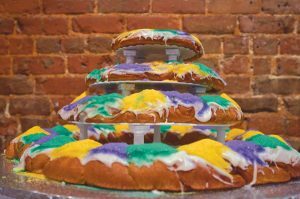 To indulge in arguably the deadliest of all pre-Lenten desserts, the king cake, typically you have to journey to Louisiana, where Mardi Gras celebrations are quite infamous. To that end, allow me to clear up a few common misconceptions. 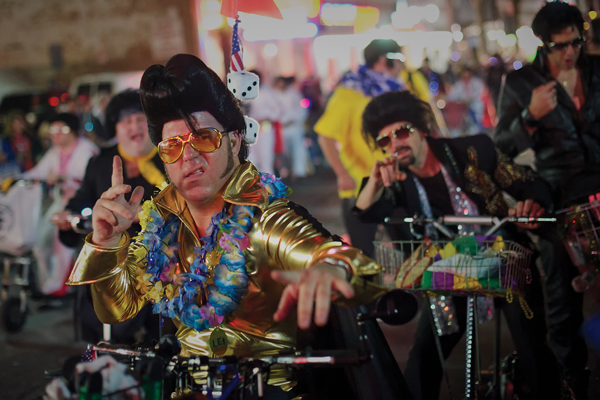 First, Mardi Gras is a season leading up to and including Fat Tuesday, the day before Ash Wednesday. As Christmas decorations come down, Mardi Gras decor immediately appears. Beaded necklaces hang from the occasional tree or power line after being flung with coins and trinkets from the endless parade of elaborate floats, helmed by the ‘krewes’ that organize them. These misplaced beads serve as a decorative reminder of the joyful southern spirit all year long. Second, in Louisiana, Mardi Gras is a family event. The celebrations are more in line with the Macy’s Thanksgiving Day Parade, only there are dozens of parades, and, yes, with public drinking permitted. That brings us to the French Quarter, particularly on Bourbon Street, which is extreme to the rest of the festivities. It has its place, mostly for tourists, and those seeking an adults-only experience. Unfortunately, it’s the element of Mardi Gras that garners the most media attention. If you are unfamiliar as I was, king cakes are round brioche cakes often made with cinnamon-rolled dough and covered with vanilla icing. Colorful as they are sweet, they are decorated with sprinkles in Mardi Gras’ famous color pallet: purple, green and gold, respectively representing justice, faith and power. 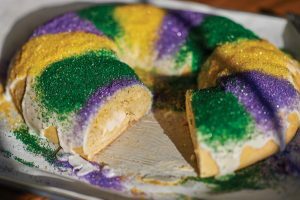 As a literal aside, every king cake includes a plastic figurine representing baby Jesus, secretly served in or under a baked king cake. Tradition holds that whoever finds baby Jesus in his or her slice buys the next king cake or hosts the next party, so be sure to give fair warning in advance (this also prevents choking) to your guests. My baby Jesus is momentarily absent, so in his stead, a Lego figurine will have to suffice. Like so much southern cooking, I struggled to find a truly authentic king cake in the North. There are different varieties to consider, from plain brioche to those stuffed with cream cheese, fruits and nuts. My southern cookbook collection is extensive, yet locating a king cake recipe proved, ahem, to be as difficult as finding a recipe for fasnachts in my Lancaster cookbooks. Tradition, it seems, holds to buying these Lenten delicacies ahead of the 40-day fast. Resolute, my appetite remained undeterred. Another temptation appeared on the horizon: overnight shiping. A few famous bakeries in southern Louisiana ship their pastries for quite a premium. The good news is that, eventually, I found a king cake recipe by New Orleans’ Chef Emeril Lagasse and quickly got to work. As Lent concerns itself with giving up temptations, I opted for more of them in the form of a stuffed king cake. My experience was limited to unfilled king cakes in the past, so this would be a first. Upon tasting the cream cheese and sugar filling, instantly I knew this was the correct choice. 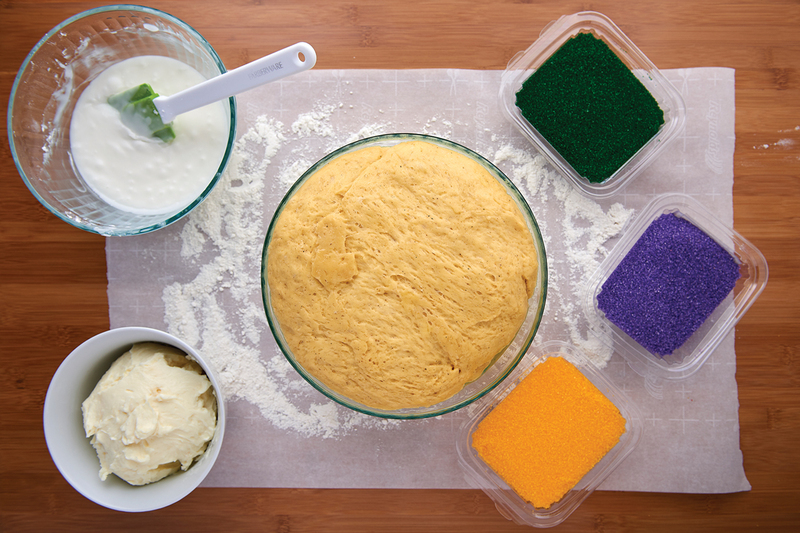 Making the dough is simple, and most pantries will already have the necessary ingredients on hand. I used free-range eggs from Hillside Produce in Ephrata, giving the dough a vibrant, almost orange coloration. Lemon zest and nutmeg added tantalizing fragrances to the mix, which takes two hours or so to rise. 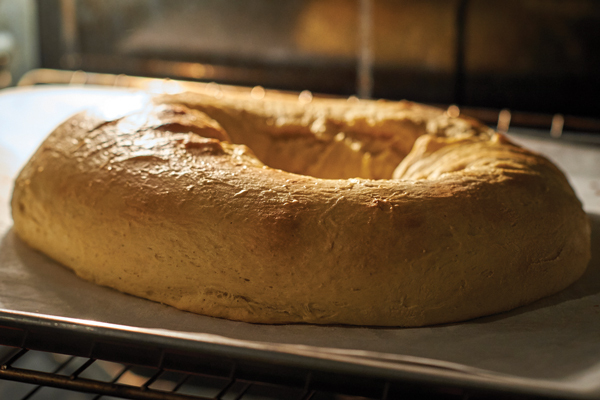 The dough is then flattened into a 30-by-6-inch rectangle, and the filling is spooned onto the bottom half. Fold the top over and seal it shut, forming it into a closed circle, placing the seam underneath. Wait an hour or so until it rises for a second time before brushing a coat of milk on top and placing it in the oven for 30 minutes at 350 degrees. Once I stepped back to take in the caloric splendor before me, I was instantly carried off to Louisiana, a place I briefly called home. This was the genuine article, and baking it myself was all the more rewarding. 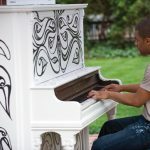 The process of discovery, creating and experiencing something new and then sharing it with others is utterly gratifying. I hope you try it for yourself. 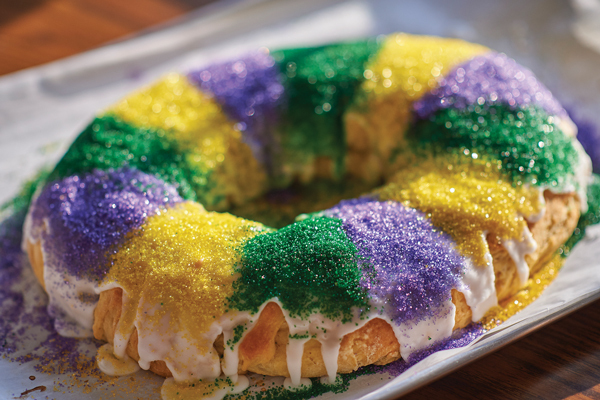 A king cake is a welcomed way for us northerners to indulge in an old, familiar holiday southern-style. This year, I think I’ll observe Lent by giving up fasnachts! Check out Emeril’s king cake recipe to make your own! Share your photos with us on Instagram using the hashtag #lcmfoodographer. Loved the background story with photos as well as the link to the recipe; can’t waut for the next one!